Home / Social Media / Bobsled – uphill climb? 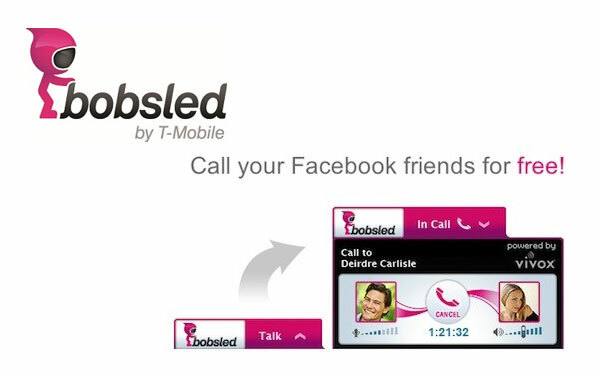 T-Mobile’s relationship status with Facebook just got a little less complicated, thanks to Bobsled. Bobsled is a VOIP (Voice Over IP) application that can be used via Facebook chat. It was launched and marketed, almost out of the clear blue in April, and then disappeared into thin air a few days later. It seems T-Mobile took down the calling service “voluntarily” due to Facebook users confusing the function as an official Facebook application. Facebook wasn’t too happy about the blue, white and Arial-looking font of the application. Because of this design, it was looked as though it was owned by Facebook. After some redesigning, Bobsled is back up and running as of May of this year, looking very T-Mobile-ish with its fuchsia, black and grey revamp. With the service, you can use Facebook to place voice calls and leave messages for any of your Facebook friends. The service is not limited to only T-Mobile customers. I found myself asking “why?” a lot while I was reading up on this service. Why would I want to use Bobsled when I have Skype, not to mention a cell phone, around me all the time? I’m already paying for my cell phone plan, why wouldn’t I want to use what I’m paying for? What are your thoughts on Bobsled? Would you use it? Facebook has long since opened up to the less-than-tech-savvy of our culture. I would not be surprised if T-Mobile’s thinking has more to do with giving plug-and-play computer users an easy way to do VOIP. While Skype might intimidate, a Facebook App seems as unassuming as Farmville.